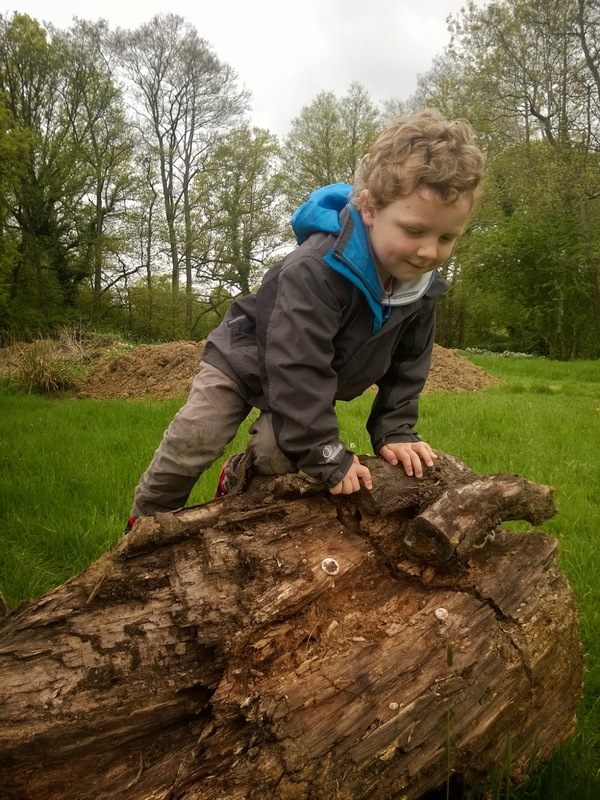 I've written about it before, but if you're in East Sussex and looking for a great place to entertain your family I reckon the National Trust property Batemans takes some beating. Batemans was the home of Rudyard Kipling, prolific and gifted poet and author of ever popular children's classics such as The Jungle Book and Puck of Pook Hill. The property will be familiar to you if you watched the film 'My boy Jack' as it was one of the locations used in the filming of it. The house itself is lovely, but what the boys most love are the gardens and wildflower field. 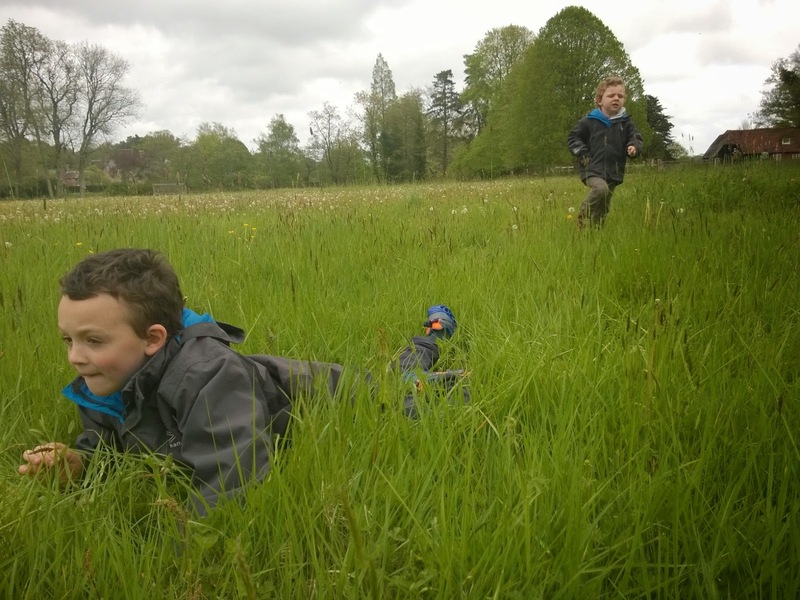 We've spend many happy afternoons playing on the lawns in front of the house, but the meadow is perfect for the wilder games. A favourite we have to play each visit is 'fox and rabbit' or 'tigers' -it's the same game but the name changes depending on their current interest. This involves a lot of hiding flat out in the grass, stalking on hands and knees and running and shrieking. At this time of year the hiding is less convincing, but seems no less fun. 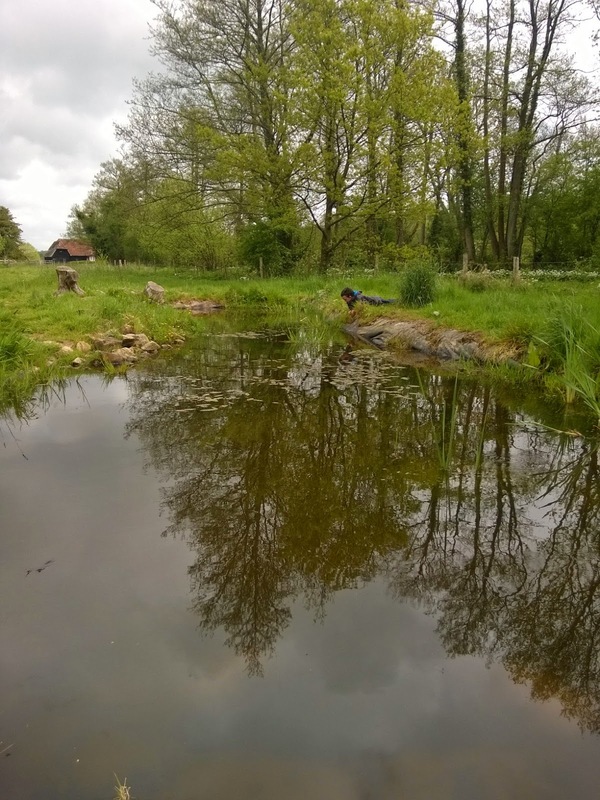 A pond area put in recently is providing a lot of interest - to the boys and to me. 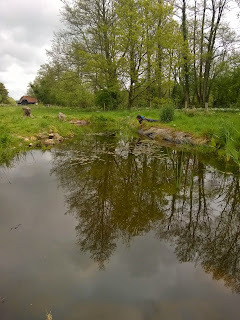 I was sitting watching the water last visit while Toby climbed a stump behind me when I saw a huge dragonfly larva swim up and hang tail up below the surface while making a rather grisly meal of a tadpole. Laying on tummies and watching the whirligig beetles spin busily to and fro provided plenty of entertainment too. Unfortunately on this visit we learned that the beautiful old water mill has broken down, so we've done our best to help the fundraising to repair it by buying a raffle ticket each. The prizes are really good too - i.e. cash prizes rather than the mysterious tins no-one wanted to eat that turn up in village fete raffles. All being well in three years time the mill will be up and working again, with a fully repaired building and plans for lots of hands on kids activities. In the mean time it's still fun to visit and explore, although I missed our regular bag of lovely stoneground flour. We regard our National Trust membership as our charity for the year because as well as providing us with lovely days out, our contribution also helps to maintain and develop the places we love so much. 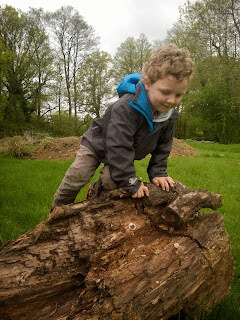 However with times hard financially it's brilliant that home educators can access the sites for free too if you go during the week, outside school holidays, and give a few weeks notice to the property first. However you get there, sitting outside in the walled garden enjoying a cream tea while little birds flit between the apple blossom and the crumbs on the table is a memory worth savouring.